Andrew Benzie Books – Andrew Benzie Books designs, publishes, and markets books in both softcover and ebook formats. Andrew Benzie Books designs, publishes, and markets books in both traditional and ebook formats. With the availability of print-on-demand technology and electronic book formats, there has never been a better time for authors to publish their work. A book’s cover is the first thing a potential reader sees and makes a lasting impression. We create dynamic book covers and professionally designed interior layouts to help your book rise to the top and gain traction with readers. We will publish your book in both traditional and ebook formats, and will work closely with you to simplify the entire process from conception to execution. We will make your book available on Amazon, Barnes & Noble and other online retailers. We offer a variety of promotional printing options to help drive your book sales, including business cards, bookmarks, posters, flyers and other collateral material. In order to boost maximum visibility to your book, we build custom websites for our authors and offer marketing + branding services to promote your book including Facebook and other social media sites. and publishing of services we offer. ABB founder Andrew Benzie has spent over thirty years in the design/print industry. 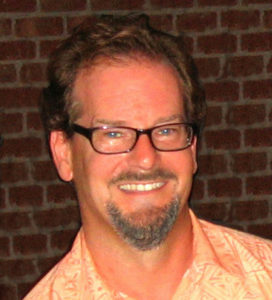 Andrew grew up in the San Francisco Bay Area and graduated from the University of California with a fine arts degree. He has worked as a freelance designer as well as for large corporations including Transamerica, Deloitte & Touche, WR Hambrecht+Co and Sybex Books. Andrew formed Andrew Benzie Creative Design in 1991 and launched his book publishing business Andrew Benzie Books in 2010. Andrew is a board member and online administrator for the Mount Diablo Branch of the California Writers Club. to discuss your publishing needs. Copyright © 2010-2018 Andrew Benzie Books Walnut Creek CA. All rights reserved. Website by Andrew Benzie Creative Design.